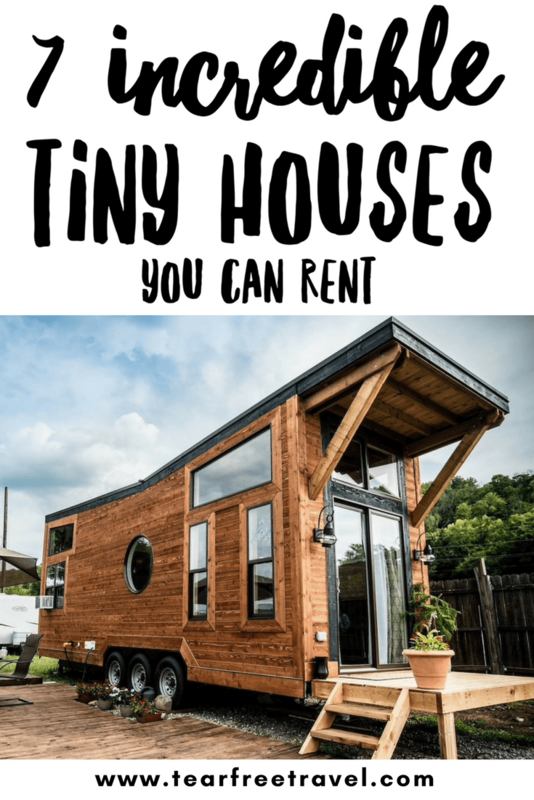 Just like every other borderline obsessive HGTV watcher, I am in LOVE with tiny houses. What’s not to love really? Gorgeous designs, cool space-saving ideas, and amazing interiors are the stuff my dreams are made of. Realistically though, with two kids, two dogs, and a closet the size of some tiny houses, there is no way I could ever actually live in one. I would love to rent a tiny house for vacation though, which to me is the best of both worlds. If you haven’t heard of Kid and Coe before, be prepared to spend the next 2 hours looking through some of the amazing properties they have in absolute awe. This website showcases only the best of the best when it comes to family-friendly properties. The tiny timber-frame residence is no exception! The house looks right out of a magazine! This gorgeous farmhouse style tiny house looks like the perfect getaway from the hustle and bustle of city life. 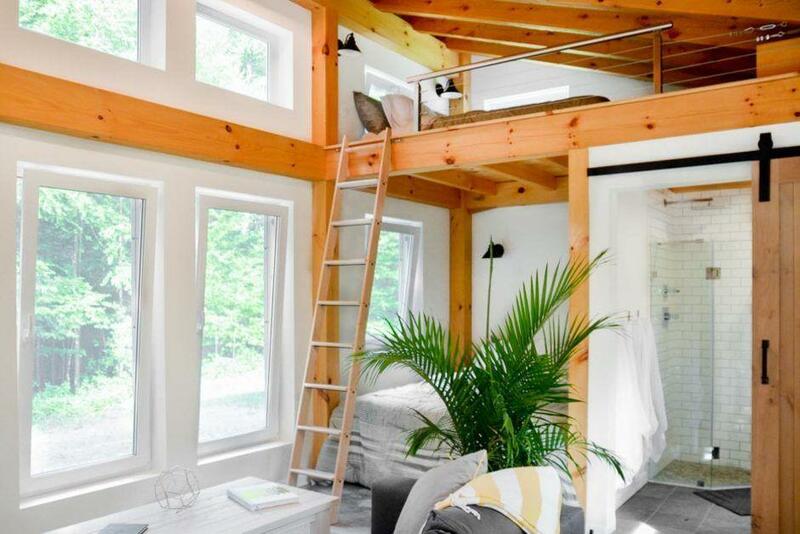 A beautiful Queen-sized loft bed and a separate pull out sofa make it a kid-friendly space. This cozy space is picture perfect! If it’s your first time using Airbnb you can save on your first stay by using my Airbnb discount link. 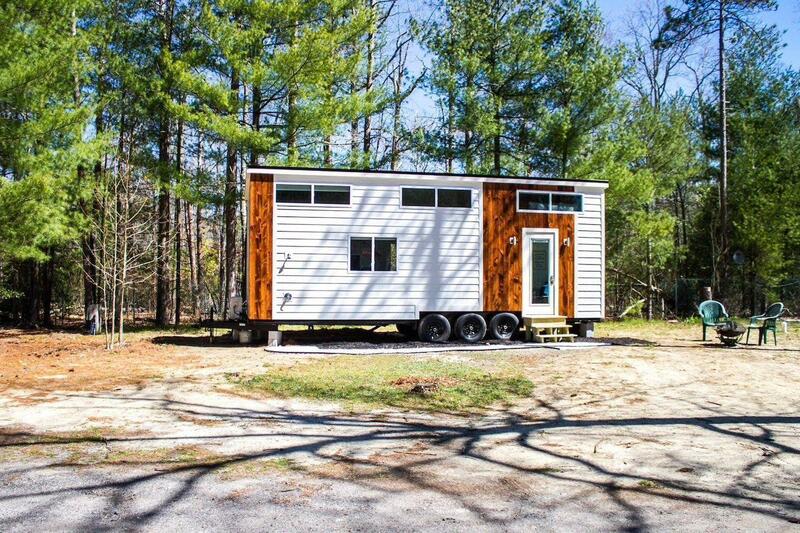 If you are looking to get away from the hustle and bustle, but still keep close to the city, this Tiny House rental may be the perfect fit! It includes one bedroom with a full sized bed and a loft with a king-sized bed making it the perfect size for families. 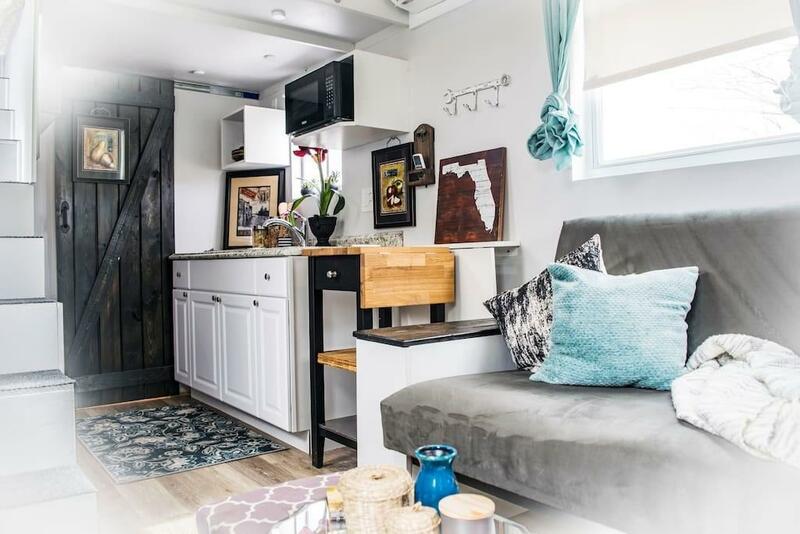 If you are looking to rent a tiny house with a mix of rustic charm and everyday luxury, this tiny house vacation home is for you! It has me sold with the outdoor shower and backyard chickens! Set on a beautiful oasis, this place has all the amenities and is well set up for young families. 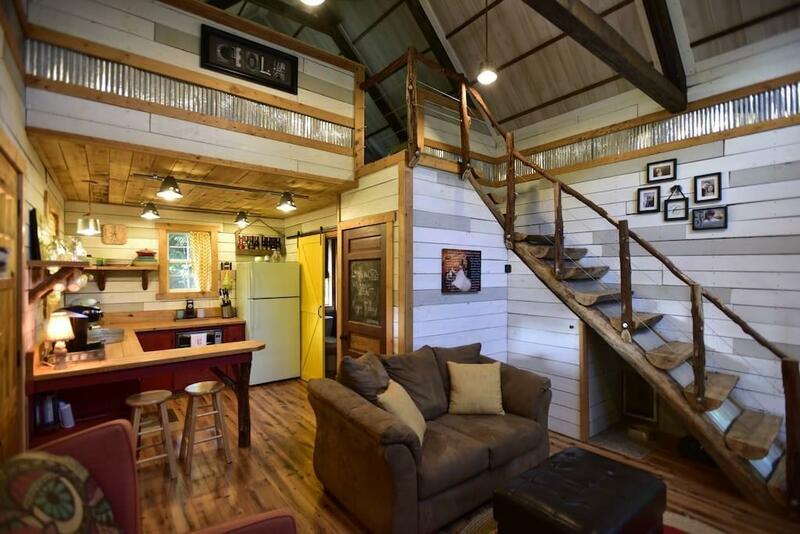 I have always wanted to explore Gatlinburg and the Great Smokey Mountains National Park in Tennessee and this Tiny House vacation rental looks like the perfect starting point! Located in an RV park with amenities, there are lots of activities little ones to enjoy in this area. Check out this Gatlinburg Guide for the best things to do in the area! This one is definitely going on the bucket list! 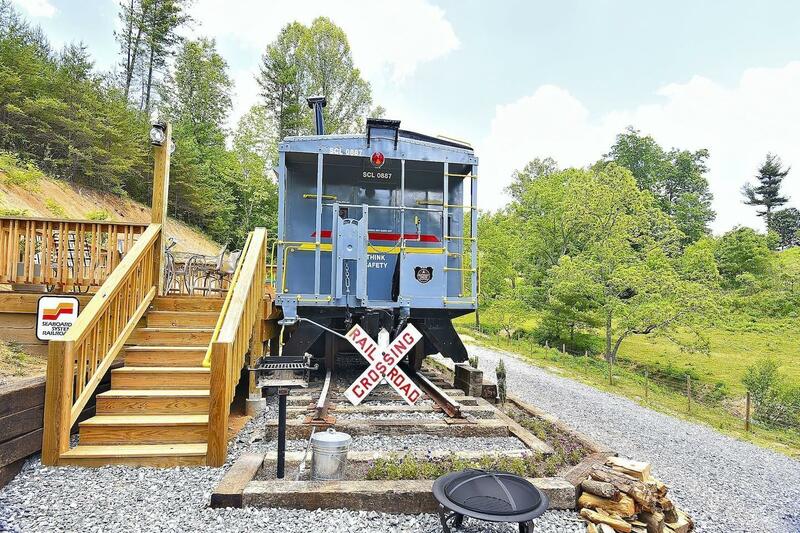 My son would LOSE HIS MIND if he knew that we could possibly stay overnight in a train caboose! The interior of this caboose is completely up to date and gorgeous, making it nice for kids and adults alike. Complete with a swingset and rock climbing area as well as a chance to get up close and personal with the animals. 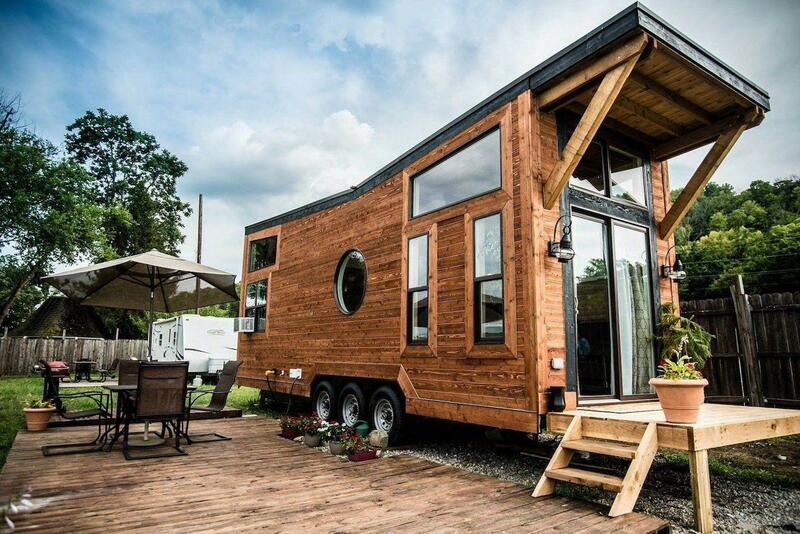 This gorgeous tiny house is located in an RV park that is complete with a community pool. Hosting up to 6 guests, it is large enough for the whole family to join. 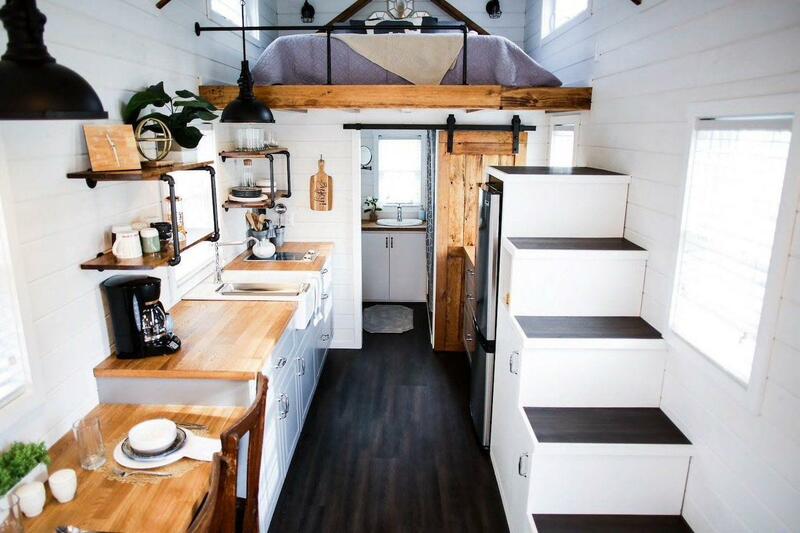 I absolutely love the modern interior of this Tiny Home. Legoland Florida: Tips for the best trip ever!